Every month at work (I work for a small, high end fabric, sewing machine, and home decorating store) we feature a different fibre artist. For July, we’re featuring Patriotic Quilts. A few people have already put in their quilts, and are using very bright reds, whites, and blues. 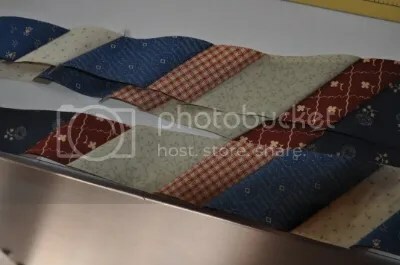 I’m trying to push myself out of my comfort zone when it comes to what I chose in colors and patterns for quilts, so I picked a pattern I’ve been eyeing for a while, and then went to my LQS for some Civil War reproduction prints. 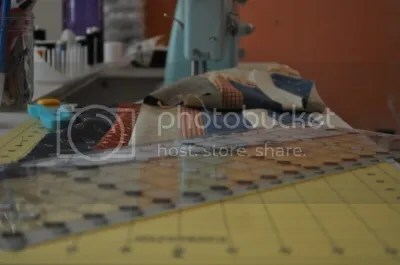 I’m using Anna Maria Horner’s Feather Bed Quilt pattern, and Olivia Jane’s piecing tutorial to put it together. I’m trying to be better about researching a project (I love using blogs and the internet as a resource! Especially since I am always so far behind on the curve when it comes to patterns. ), and like how much less waste I had when cutting the feathers for the quilt. I made three sets of strips, to make eighteen full feathers, and enough left over to make a small patch in the back. I’m done piecing it (it took about a week on and off at work), and am working on quilting it. Today I get to take a quilting class, and will hopefully put most of the top together today in class. I’m so excited to have a whole day of sewing!